Holiday Hairstyle Tutorial & Garnier GIVEAWAY! 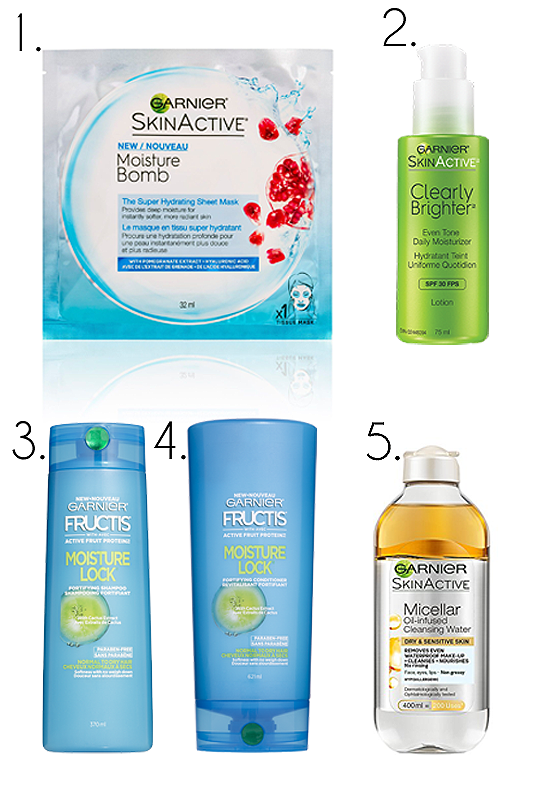 Today I am sharing something very special with you guys, a holiday giveaway with Garnier Canada! To enter simply follow the rules below. I also wanted to share a quick and simple Holiday Hairstyle and I thought this French Twist Ponytail was absolutely perfect (watch the video tutorial here). How cute is the bow? 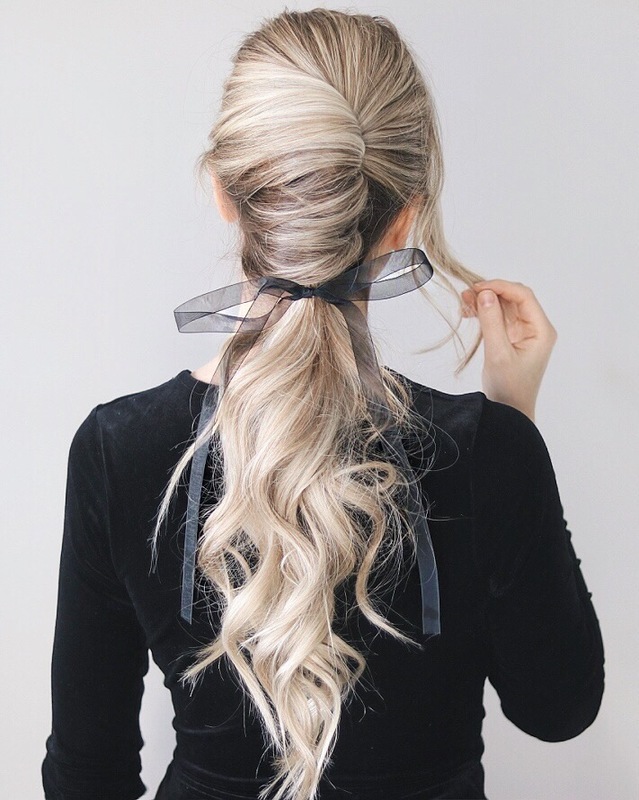 It’s just a simple ribbon, and It adds such a festive touch to this hairstyle. You will need: 1 hair elastic, 6-12 bobby pins. For the holidays I love soft romantic curls. To create this appearance I used a 1.25” curling wand from T3, and curled my hair in alternating directions to give a more tousled appearance. 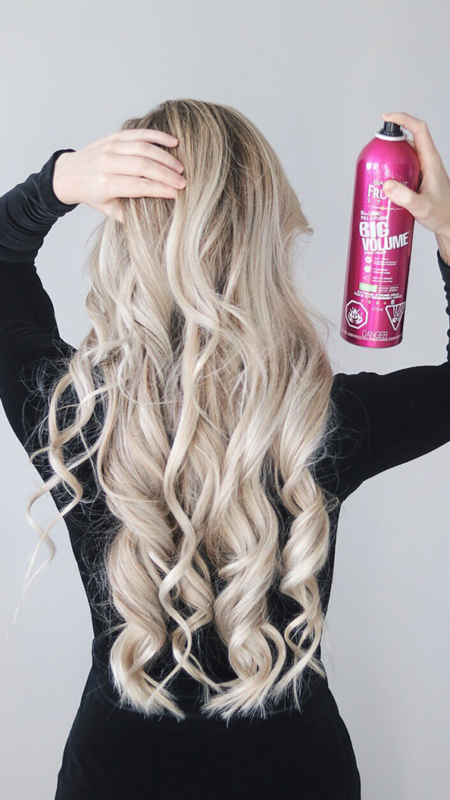 I then sprayed my curls with Garnier’s new Big Volume Hairspray, I love the long-lasting hold this gives my curls. 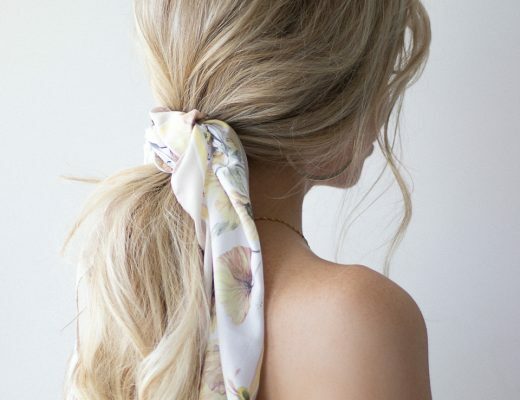 Part your hair as normal, and gather your hair into a loose ponytail just above your ears. Pull out small sections from in front of your ears to frame your face. Hold your pony-tail with your right hand, palm facing upwards, this will make twisting much easier. Begin tightly twisting your ponytail clockwise, using your left hand to guide your hair. Continue twisting your ponytail until you have reached the nape of your neck. Starting at the top of your ponytail, begin bobby pinning the twist to your head. Take your bobby pin and hook a small section of hair from your twist, and then slide against your head and secure underneath the twist. 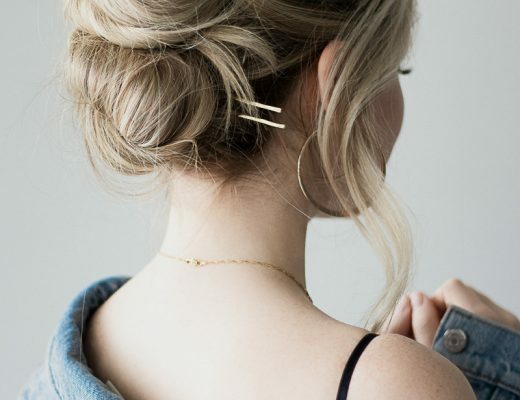 Carefully place a hair elastic around your ponytail and pull tightly to hide the hair elastic, feel free to add a fun hair accessory, I love this one from the Jen Atkin x Chloe + Isabel. Since it is the holidays I wanted to include a giveaway for you guys as a big thank you for all your love and support this past year. And a big thank you to Garnier as well for providing my favourite Garnier products for this Holiday Giveaway! I’m not sure what I did before my Garnier Micellar water, I use it to remove stubborn liquid lipstick, waterproof mascara, and to ensure all my makeup is completely removed at the end of the day. A random winner will be chosen on Thursday, December 21st and posted here: Congratulations@Cathgagne ! My part is always wonky and a little hard to smooth back like this. Do you have any suggestions? LOVE this look! I have had little success with the French twist as my hair is very straight. I might try curling my hair first like it shows in this post. I love this hairstyle so much but every time I try, its like my hair is too silky or something… I can’t get it to stay or look sleek but effortless 🙁 I’m sad I can’t enter the giveaway!! I just moved back to Buffalo from Toronto, so no Canadian address anymore!